Recently we were lucky enough to go to Marrakech for a few days. 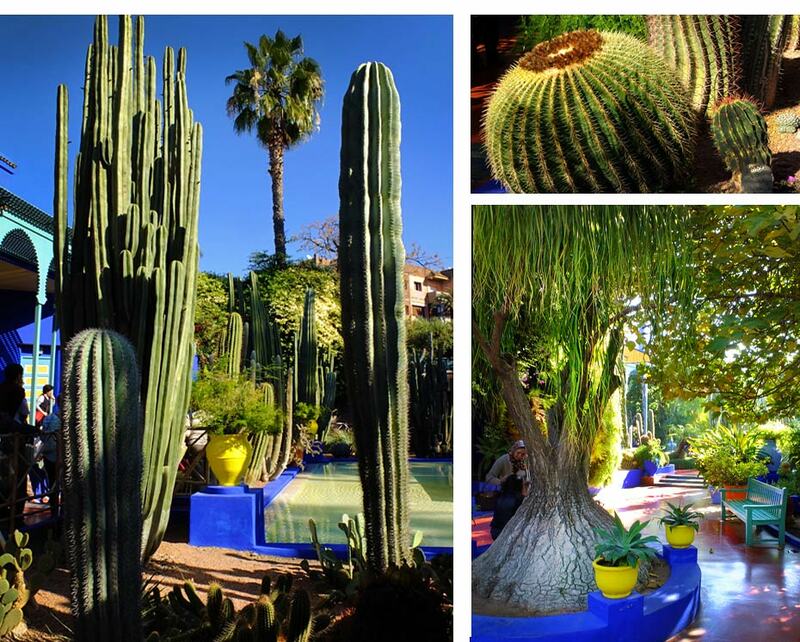 The weather was glorious and during our stay we visited a spectacular garden, Le Jardin Majorelle. 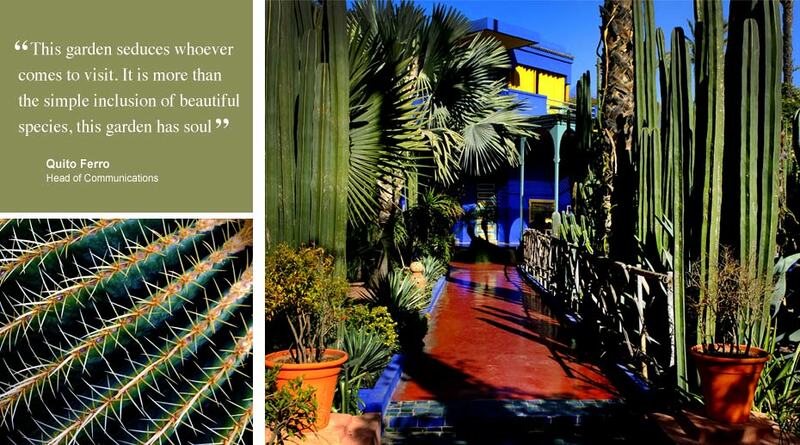 The Majorelle garden was created in 1930 by French painter Jacques Majorelle, who bought hundreds of rare cacti and plants from different parts of the world to create an oasis around his villa in an otherwise barren city. The planting includes varieties of cacti, palm trees, bamboo, coconut palms, thujas, weeping willows, carob trees, jasmine, agaves, white water lilies, datura, cypress, bougainvilleas, and ferns. As in the composition of a painting, Majorelle arranged the species between light and shadow around a long central basin and along irregular, meandering walkways with curved, painted walls. He introduced an intense shade of blue to the walls and vases of his villa in order to create a strong contrast with the vivid green of the cacti. Later he trademarked the particular shade of blue to become what is still known today as bleu majorelle. Majorelle’s former house are a welcome respite from the hustle and bustle of the souks and medina’s of Marrakech. We really enjoyed our time at the gardens, a beautiful green oasis. There’s a fabulous cafe for refreshments and lunch, we would strongly recommend a visit to anyone visiting Morocco.